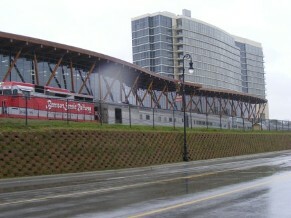 The Hilton Branson Convention Center sits across from the main entrance to Branson Landing and next to the historic Branson Railway station where daily excursions into the Ozark Mountain region are available. A short walk will take you to downtown Branson where a little of yesteryear can be found in the hustle and bustle of this small American town. You will find that more time is needed to stroll the streets than you originally planned. You'll find shops of every type including a 5 & 10 store that will take you back to your youth. Great cafés and restaurants along with a few sweet shops are around every corner. Downtown has theaters of its own including the historic Owens theater with shows throughout the day and evening. Branson Landing brings you back to the 21st century with both national and local stores and plenty of the best restaurants in Branson. 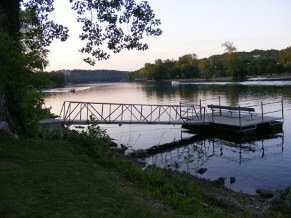 Sitting on the shores of Lake Taneycomo provides some great activities from fishing to lake cruises or an evening walk along the lake shore. Not far away are some of the finest golf courses in the Midwest. These courses nestled in the beautiful Ozark Mountains will please even the most avid of golfers. You'll also want to head over to the Payne Stewart Golf Club and browse the artifacts of this golf legend in the Great Hall and relax for a meal in the "Many Faces of Payne" restaurant. If fishing is your thing, Lake Taneycomo is one of the premier cold water trout lakes in the country and Table Rock Lake is among the top lakes for Bass fishing. Branson is a shopper's delight and you'll find everything from national chains to local artisan shops creating and selling their craft. Flea markets and antique shops are down every road in these hills so plan to spend some time in these shops and visit with the folks. Your days in Branson can be filled with plenty of activity or spent in complete leisure but whichever you do, the Hilton Branson Convention Center Hotel will be the perfect home for your Branson stay. The Hilton Branson Convention Center hotel features 290 guest rooms and suites and provides every luxury amenity that you will want. These gorgeous rooms will welcome you each day to luxury and comfort. 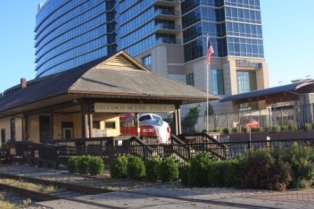 The Hilton Branson Convention Center is located just across from the Branson Landing with it's full array of shopping, entertainment, restaurants as well as Bellagio-inspired fountains facing the beautiful Lake Taneycomo. Within walking distance is the historic Branson downtown area with its unique shops, cafes and restaurants, and theaters. To the west, Main Street becomes the famous "Strip" and all that makes Branson the fabulous place to visit for work or play. 2 exhibit halls totaling 50,000 sq. 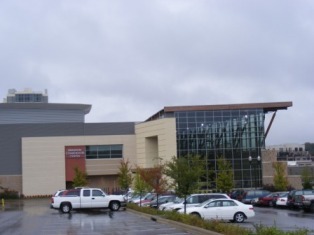 ft.
Air transportation into Branson is accommodated by the Branson Airport which is just south of Downtown Branson and the Springfield-Branson Airport just 45 minutes north.